Building a creative haven within your own home need not break the bank. Even the smallest of spaces can be cleverly transformed into a place that offers instant inspiration. 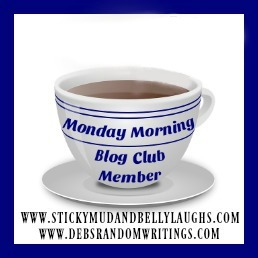 Here are a few tips on how to turn a drab workspace into your imagination bolthole with a few clever tricks. A few accessories that reflect your character evokes feelings of comfort you only feel at home. Small items such as a shell from a beach, a cheerful notepad or even your favourite mug will inject your personality into your home office, and perhaps be a source of inspiration. Make the most out of the corner in your living room by adding a small desk. Add alcove shelving above it to store your books and accessories. 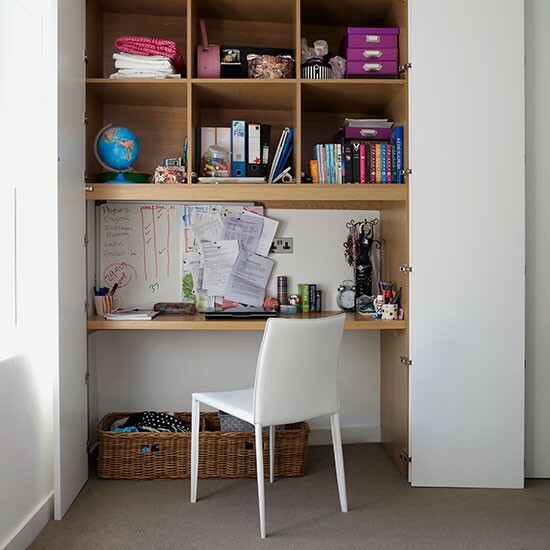 You can even add doors to hide everything from view to stop your work spilling into your everyday life. Writing bureaus are perfect for teaming up storage with a place to work, it is no wonder they are making a comeback. Although expensive to buy new, searching online or scouring second hand furniture shops can uncover some hidden gems at reasonable prices. 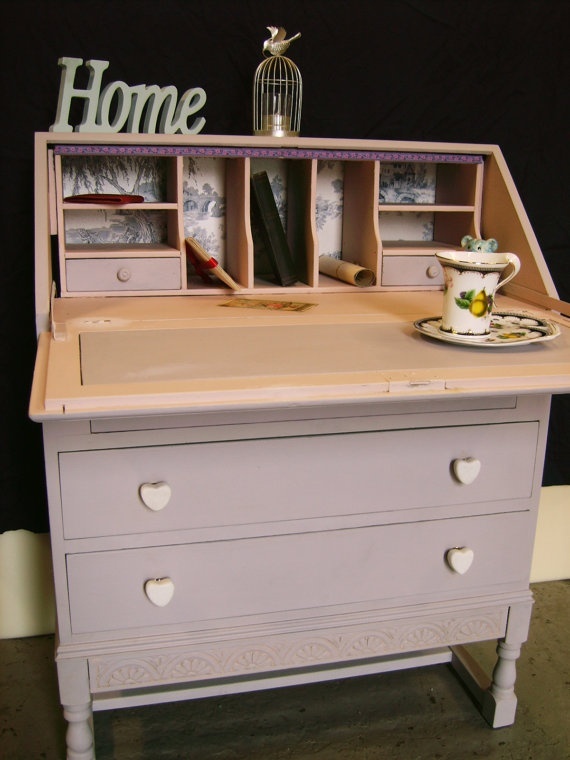 Buy Annie Sloan chalk paint to transform your bureau into a furniture piece that oozes French Chic. When light floods into the room it can provoke feelings of openness and being connected with the outside world. Place your desk overlooking a window so that every time you look up from the computer screen your mind feels refreshed. 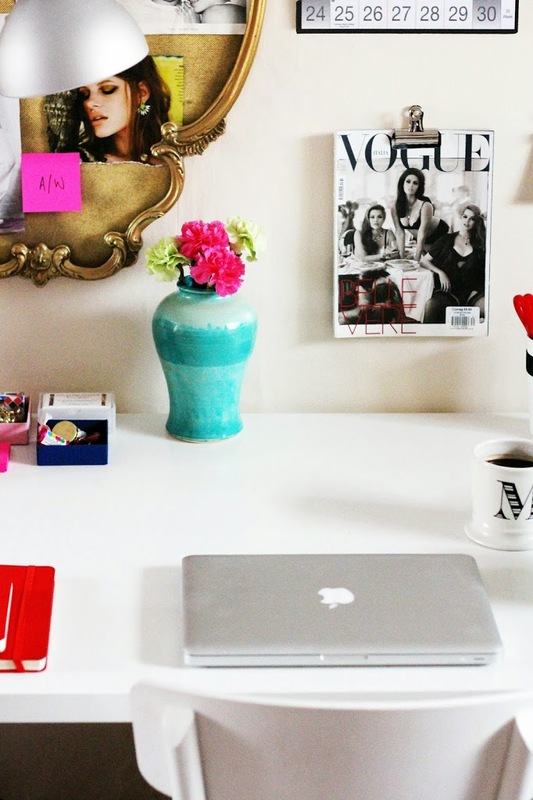 Have you managed to carve out a creative workspace in your home? Comment and let me know!